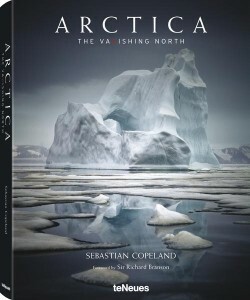 Arctica: The Vanishing North is released in Europe! 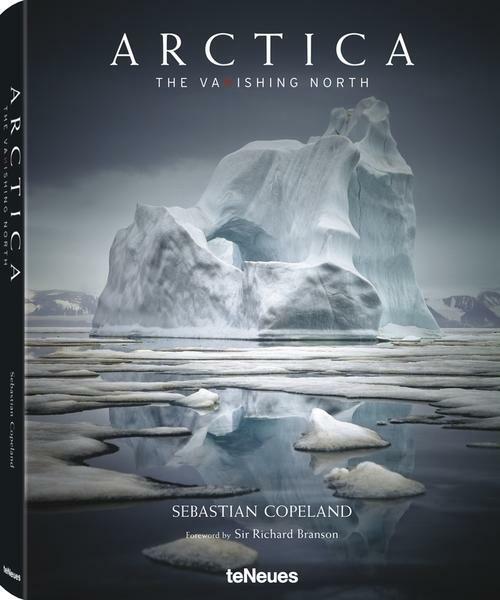 Representing ten years of travel in the Arctic spanning Greenland, Alaska, Northern Canada and Norway, not to speak of the Arctic sea ice on the way to the North Pole, Arctica: The Vanishing North is a visual testament of the far north. Contributors include Sir Richard Branson, who penned the foreword, Mayor Eric Garcetti, Dr. Andrew Weaver, Dr. Ted Scambos both IPCC lead writers, Sheila Watt Cloutier (Inuit Advocate) and Børge Ousland (Norwegian explorer). Coming at a whopping 7.9 pounds, this volume was made carbon neutral by Climate Partners. Says Sebastian: “I am very proud of this book. It is my most accomplished work. It is a visual tour of a part of the world that hardly anyone has ever witnessed”. The book is released globally by the TeNeues Publishing, and will be available in international markets from Fall 2015. I got this superb book for Xmas. There is a section on Svalbard that I particularly liked. I wondered what time of year they were taken? I am an amateur photographer and wanted to enjoy the area before much of the snow goes for the summer. When would you suggest? Hello Simon, Thank you for the kind word. Svalbard stays fresh through to June or so. I photographed there in mid and late April when the fjords are still very frozen and the cold biting. But you can have snow there in many places into early June. J’ai beaucoup aimé l’expo photo sur la grille du sénat; je déplore hélas une erreur de traduction : en effet, si en anglais le mot est le même pour désigner manchots et pingouins, en français, ce sont 2 différents, pingouins dans l’hémisphère nord et qui vole, manchots dans l’hémisphère sud qui ne vole pas. Oui, c’est just. Je suis bien triste aussi de cette erreur de traduction. Je ne suis pas suffisamment bon pour écrire mon text en Français–c’est triste! Et j’ai appris cette erreur trop tard. C’est vrai que en Anglais le mot est le meme. Je suis bien sur au courant de la difference des espèces et leur habitat respectif. Oh well. Merci de votre message!